Turkey welcomed the appointment of a Turkish ambassador as a senior representative to combat intolerance and discrimination against Muslims as part of Europe's top security body, the Turkish media reports. 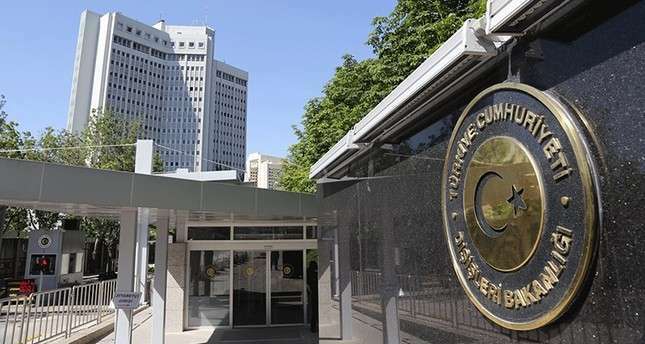 "Within the framework of our efforts to combat intolerance and discrimination against Muslims, we welcome Ambassador Mehmet Pachaji's appointment by the OSCE Chairmanship," the Turkish Foreign Ministry said in a statement, referring to the Organization for Security and Co-operation in Europe. It said Pachaji was appointed as the Personal Representative on Combating Intolerance and Discrimination against Muslims by Slovakia, who took control of the 2019 chairmanship. Pachajı will take his post from professor Bulent Shenay, who held the position during the three previous OSCE chairmanships, the statement added. "Turkey is contributing effectively to the politico-military, economic-environmental and human dimension activities of the OSCE, which is the world's largest regional security organization with 57 participating States," the statement added. "Turkey attaches particular importance to the efforts of international organizations, including the OSCE, aiming at preventing rising trends such as intolerance, xenophobia, racism, and Islamophobia in the context of current challenges arising from regional instability, irregular migration flows and increased terror threats," it said.